After graduating from Patna University with Com ( Hons. ) bagging Distinction Marks in three papers, Mr. Sen Gupta got along with the National Insurance Co Ltd for a while with further preferring to take up employment with the Bank of Baroda where he worked for around nine years or so before bidding a final good bye to the organisation. Incidently, he left for the United Kingdom with a cherished dream of completing his higher studies in the field of Management. Firstly, he qualified the PGDMS (Post Graduate Diploma in Management Studies) from the Middlesex Business School, London with flying colours and thereafter in the pursuit of his preferred field he went on to complete his Diploma in International Marketing securing Distinction. Further to this with an unending passion for studies he again this time went on to compete the world’s most coveted Professional Qualification of now The Chartered Institute of Marketing, UK, in which he did also well and finally he completed his MBA (Masters of Business Administration) from the Middlesex University Business School, London after attaining first class. Mr. Sen Gupta worked in the United Kingdom in different companies in different capacities earning a huge deal of work experience and also went on to travel to some of the richest and the most developed countries of the world namely the United States of America, Canada, besides extensively travelling in the United Kingdom including Scotland and Wales. He has also travelled to Nepal, Bhutan where he met many elderly people and youngsters living in a poverty sticken condition to create some happiness for them for a while when he was very young like 23 / 24 years of his age. Here in India, Prof. Sen Gupta also extensively travelled up and down the country covering almost all the states of this huge nation and have become extremely distressed to see the horrific condition people living in with no amenities at all what many people usually enjoy as the blessings of the almighty. Notwithstanding, living in the western nations for almost a decade and a half, Mr. Sen Gupta was intrinsically connected to the soil where he was born and that is why he always preferred to make Patna his permanent destination which is his own home town leaving aside all the luxuries of the world he was quite used to with a definite dream to serve the people in some form or the other where he believes to be deeply indebted to. 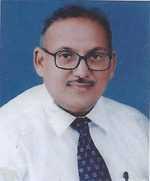 Now, being a sought after college professor and directly connected with Higher Education throughout, Prof. Sen Gupta always remains keen to help the young students by adding great impetus to their confidence and disposition to realise their dreams of lives in every possible way serving them very much like a mentor. In return of such benevolence and sanctity, Mr. Sen Gupta is always showered with gratitudes from the students all over, most of whom who also keep a very close touch with him in every possible way ensuring to get his blessings all along. Now, in his remaing days of his life, Prof. Sen Gupta is resolved to push forward The Dolphin Charities which has long been his last dream plan to bring all support, love and care for the needy students, the left out elderly people and the handicapped who all are practically deprived of a good life due to the most disorganised, corrupt and the chaotic society all live in.